Swiss aperitifs often consist of wine and flûtes. Even more so in the canton of Vaud, where flûtes - with salt, cheese or sesame seeds - go hand in hand with a glass of Chasselas, the most served white wine for gourmets. Difficult to say when this tradition started. In the memories of Vaudois people, they have always accompanied their glass of wine with flûtes. 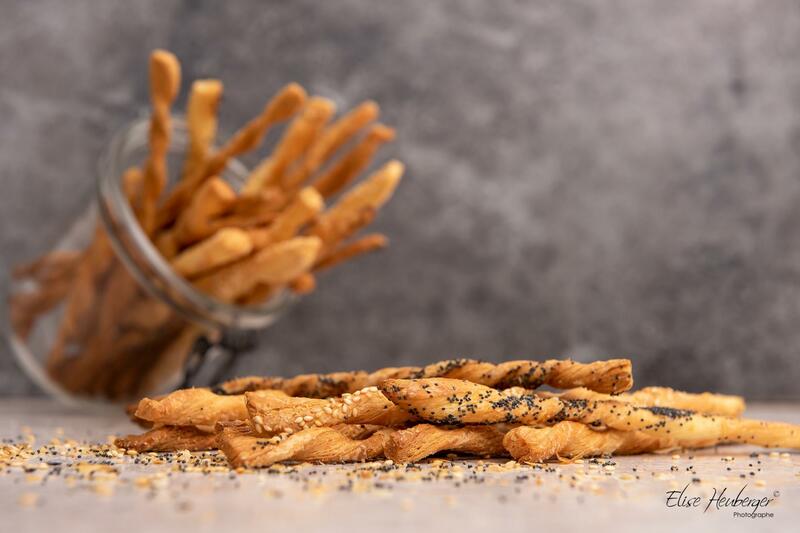 These savoury biscuits come in the shape of twisted dough sticks. In the beginning, they were made from yeast dough and was gradually replaced by puff pastry. The simple recipe consists of salt and butter, while the flavoured versions contain cumin, sesame seeds, cheese, poppy and sometimes bacon, tomato or bear’s garlic. The best way to choose is in one of the Terre Vaudoise shops which offer a wide variety of artisan flûtes. Due to their delicate production, flûtes used to be a luxury product. These highly popular snacks have kept their festive aspect although they are available from all bakeries and supermarkets. Only few families make them themselves because the dough manufacturing process is difficult.